Could Millennials solve the driver shortage? 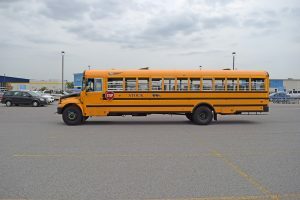 The driver shortage could be addressed by a progressive program for obtaining a CDL plus a lowered legal age for state line crossings. This could also help draw more millennials into driving for the freight transport industry, reports Nicole Spector for NBC in the following article. 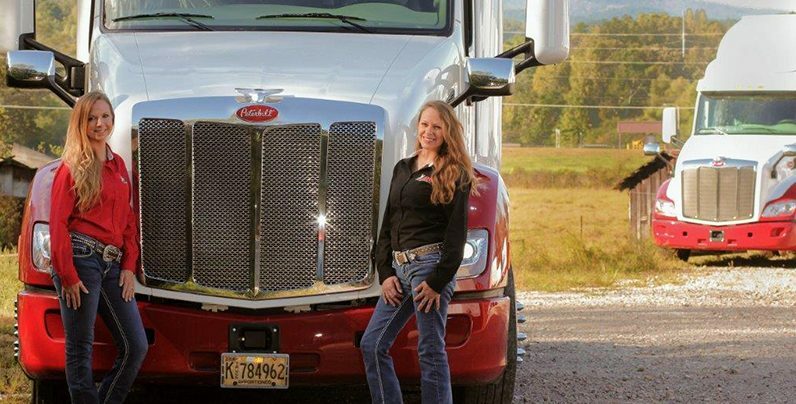 In addition, low numbers of female drivers contribute to the industry driver shortage. Even seemingly popular companies like UPS struggle with this issue. UBS trucks generally pose no mechanical obstacles for women. However, the issue of personal safety continues to plague those tasked with uncertain delivery locales. Finally, a fresh assessment of the future of autonomous vehicles and their impact on drivers. 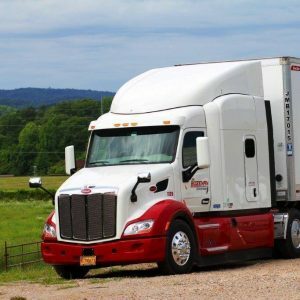 “With freight demand climbing and rates on the move, trucker pay should rise in the coming months”, says Gordon Klemp, a driver pay analyst and president of the National Transportation Institute. Klemp shared his prediction in a conference call with investors in early November. Stifel, an investment firm, hosted the call and distributed a recap of Klemp’s remarks. If carriers secure rate increases in contracts with shippers, they pass some gains on to drivers, Klemp told investors. He didn’t forecast any percentage-based increases in driver pay. Instead, he noted that driver pay increases with freight rates. Not all of the gains in per-mile rates will translate to drivers’ paychecks, but “driver pay is moving up alongside the freight increases,” notes the conference call recap distributed by Stifel. Though carriers consistently increased driver pay in recent years, driver wages climbed only 6.3 percent on average over the last decade. “For-hire drivers lost effective purchasing power over the past 10 years and adjusted lifestyles accordingly,” says Stifel’s report. Looking even farther back, driver wages are in effect just half of what they were in 1979, before deregulation, said Klemp. Klemp also noted that carriers face an uphill battle in recruiting younger drivers to the industry. These drivers “disinclined to enter” trucking, “as they are often concerned with work-life balance”. Nearly 60 percent of the current driver workforce is older than 45. That’s a good bit higher than 1994, Klemp noted, when just 45 percent of drivers were 45 years or older. 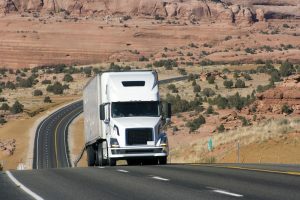 “However, with freight demand strengthening and the driver shortage becoming acute, the stage is set for drivers to realize driver pay increases over the foreseeable future,” says Stifel’s report. 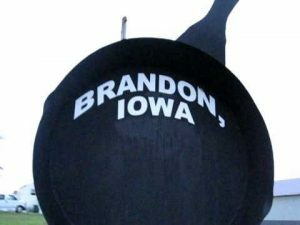 Across the United States, you can find a cure for on-the-road boredom as you come upon an eclectic assortment of some of the most hilarious and interesting roadside attractions – some of the world’s largest objects of random items. Huffington Post created this awesome slideshow to highlight the “world’s largest” attractions. One of them is right in Drive My Way’s hometown. 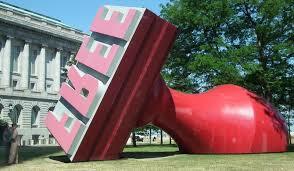 Near the famous Cleveland Rock and Roll Hall of Fame, you’ll find the world’s largest rubber stamp. Created in the ’80s, the stamp has the word “free” on the front of it. In Cuba, Mo., a rocking chair for giants rests. Though not the world’s largest, the rocker is so incredibly tall that your semi couldn’t reach the seat. If you’re feeling patriotic in New York, taking a trip to Lake George to see the world’s largest Uncle Sam. Though it’s not the title character from “James and the Giant Peach ,” the “peachoid water tank” in Gaffney, S.C., owns claims to the world’s largest peach. Painted to match the state fruit, the construction required 10 million pounds of concrete. Other favorites include the tallest filing cabinet in Burlington, Vermont, the largest Rubik’s Cube in Knoxville, Tenn., and the largest frying pan in Brandon, Iowa. Now, go get some cool photos or video of your own by these interesting landmarks and share with us! David Binz is a longtime owner operator leased to Alaska West Express. His CDL trucking job requires that he move mining, construction and oil field equipment, day-in, day-out. But, as a volunteer for Kindred Hearts Transport Connection, Binz also moves more precious cargo—pets in need. For Binz, who’s ridden shotgun with his own dog, Izzy, for 10 years, rescuing animals is a privilege. Binz likes Kindred Hearts for its compassion. Overall, it works to place orphaned animals with caring owners nationwide. To date, Binz has placed 111 pets in need in the hands of caring owners along his trucking routes. And while he typically moves cats and dogs, he’s also transported birds, gerbils—even a potbelly pig. Kindred Hearts has nearly 30,000 volunteers around the country, though few of them are people with CDL trucking jobs. The group posts upcoming runs on its Facebook page, and if one of them fits with Binz’s route, he lets the administrators know. Transporting the animals “means a lot to me,” Binz says. “It allows me to give back to society. If you have a 9-to-5 job, you have a lot of ways to give back, but those options are not out there for truck drivers. This is one thing I can do as a truck driver to make a difference.” These days, Binz rides with Izzy and Spartacus, a rescue dog he hasn’t yet found a home for. When he’s on the road, Binz relies on PetSmarts all over the country for help. He buys pet food there and uses their training rooms to give dogs off-leash exercise. Izzy, right, befriends a dog Binz was transporting. Are you an owner operator looking for steady, reliable work? Click here to learn how Drive My Way can help. Less than a year after announcing it would produce a line of trucks for on-highway use, Caterpillar discontinues production of vocational trucks. CCJ published an article about this issue, and what it means for CDL drivers. In May of last year, CAT rolled out two new refreshed trucks: the CT680L and the CT680LG. 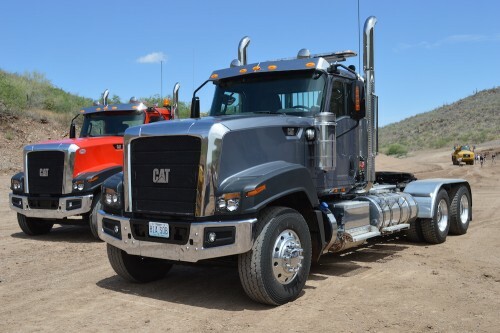 However, based on the current business climate in the truck industry and a thorough evaluation of its business, CAT says it decided to withdraw from the market. Caterpillar shuttering its truck operations is the company’s latest effort in an ongoing restructuring. It consolidates its Electric Power and Marine & Petroleum Power Divisions into a new Electric Power, Marine and O&G Division. But what could this mean about the maintenance of the trucks already on the road? Not to worry, CAT says that it will continue to support those trucks. Ever find yourself stuck on the road looking for a place to stay? 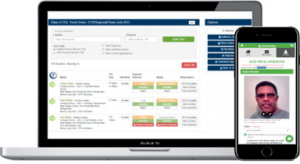 CCJ Digital recently released an article describing a new application that people with CDL trucking jobs need to check out! Managing expenses on the road can be hard, but this new app can help solve that problem. One board member, a large fleet, said its hotel expenses netted $2,000 per driver, per year, says Terrence McCrossan, senior vice president and general manager of Comdata. Next, Comdata surveyed 600 fleet customers to get more market intelligence. The vast majority of fleets are not using programs of any kind to manage hotel expenses for events that include equipment breakdowns, maintenance and driver training meetings, he says. Results also showed two-thirds of the hotel stays are spontaneous. Neither fleet managers nor drivers had planned ahead for lodging on their routes. Drivers use a mobile app to search for hotels by location. Upon check in, they present their fleet-issued Comdata card to make a reservation and pay. Comdata guarantees a discount of 20 percent or more off the lowest published rate. Now drivers can book hotels whenever they want, pay with a Comdata fleet card, and have the cost automatically deducted from their payroll. Approximately 70 percent of the time the company pays for the rooms, but drivers have the option to use the convenience whenever they want. Motor carriers now use this program to improve driver satisfaction. 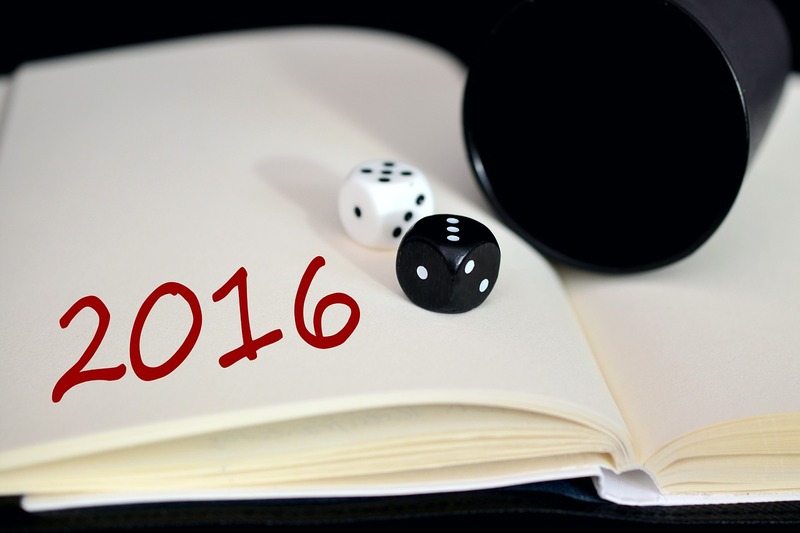 With 2016 off to a strong start, CDL drivers and trucking execs prep for whatever the new year brings. So, what can industry execs expect this year? Which issues dominate from now until December? In a recent article, David Cullen, executive editor of truckinginfo.com, touched on “6 trends to track in 2016.” Mainstay issues, such as the driver shortage and the economy, remain at the forefront. Overall, here’s a look at what’s driving those two trends and other trends impacting the trucking industry in 2016. Finding and keeping qualified truck drivers remain a critical operating issue for truck fleets in 2016 and for years to come. “Truck drivers serve as the limiting factor for the growth in trucking capacity,” said Rosalyn Wilson, senior business analyst at Parsons. Maintaining safe equipment and hiring safe drivers to operate it is not only the right thing for a fleet to do, it is the most cost-efficient. Still, government regulations force fleets to keep upping their safety game next year, Cullen writes. Public opinion follows. They expect trucking to take more positive action in the wake of some highly spectacular truck crashes that crowded the news in 2015. High-tech remote diagnostics services expand by truck makers. 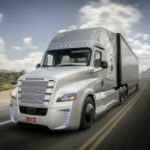 Along with emphasizing this technology focus, truck makers will keep competing to provide the best and most comprehensive range of parts and repair services at their respective dealerships during 2016. Keep those cards, letters, phone calls, emails, and tweets coming to lawmakers. The highway funding issue bleeds into 2016 if not beyond. At the end of 2015, Congress passed its first multi-year highway bill since 2009. Trucking and other stakeholders are not holding back on the message that Congress can do more now to fix the highway funding crunch.